If you haven’t heard of Ayurveda, then you haven’t heard of the world’s new favorite healing therapy. 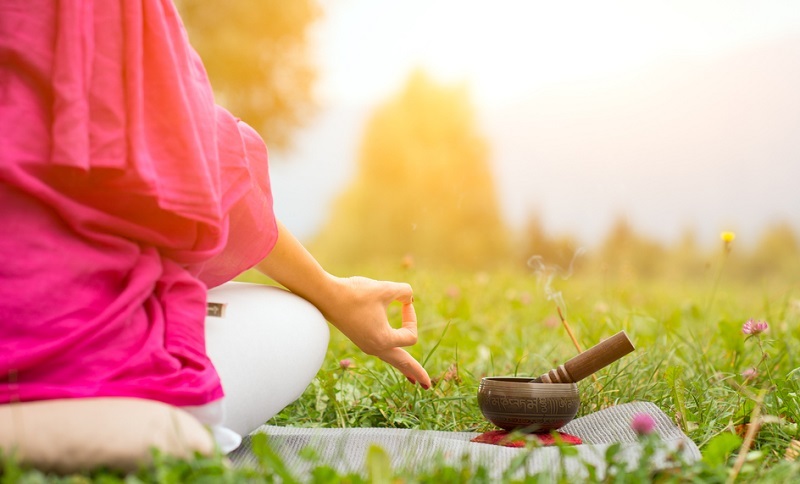 Like all holistic treatments, Ayurveda heals and strengthens using natural methods, but Ayurveda’s popularity is related to it’s absolute approach to overall well being. Ayurveda is a holistic method of treatment that focuses on balancing imbalances of the body. It’s centered around five elements, earth, air, fire, water, and space, which identify three physical and three mental energies that classify the properties of a human. Developed from an ancient set of knowledge texts called The Vedas from India, which are over 5,000 years old, Ayurveda is one of many holistic practices, which means the knowledge/ science of life. Ayurveda treats the body with massage, breathing exercises, yoga, and natural medicines. In Ayurveda, your mind and body type are either Dosha or Guna. Ayurvedic treatments for your particular body type can be determined based on your imbalances and other identifying features. Ayurveda is all about well-being. It treats the human as the canvas and makes the canvas well, so it’s robust enough to combat illness and ailments, including stress and common intolerances to foods. Bali makes an incredibly tranquil location for you to connect with nature and heal. India is the home of Ayurveda so the most traditional centers can be found there, but Kerala is particularly popular for Ayurvedic retreats. The best time to go is between June and August, and you can expect a heavy detox alongside a tailored health reboot. Some even believe major illnesses have been cured with treatments at the best centers. Busy professionals and health enthusiasts from across the globe visit Sri Lanka each year for Ayurvedic treatments to balance their physical, mental, emotional, and spiritual well-being in a world far away from their day-to-day lives in. A health retreat for those looking to ‘get away from it all,’ an Ayurvedic resort in Sri Lanka may be the retreat that completely detoxes your system. The peaceful Balinese tropical environment makes your Indonesian Ayurveda retreat enlightening. Ayurveda and yoga retreats in Bali are ideal for those looking for a complete reboot. In this charming little town, you’ll find the harmonic spirit of Ayurveda is all around. This Ayurvedic healing retreat will be an absolute cleanse and detox, with traditional Indian treatment in a traditional European environment. The entire world has realized the benefits of Ayurveda and NYC is no exception. It’s not India, but for the modern traveler, this can be a great retreat. Ayurvedic therapists will take your geographic location into consideration when deciding the treatments that would best balance you, so this destination is ideal for the US traveler. Ayurveda is what the health-hungry traveler has been waiting to discover because of its comprehensive treatment approach that allows you to restart your system and begin again… but balanced and stronger, knowing more about your body and how to maintain your health. Book smart: Get all your getaway needs, including airline tickets, from DubLi.com, so you’ll earn Cash Back with everything. Want to ease your way into a healthier lifestyle? Check out the 8 healthiest foods on earth, to make a start today.